Unprecedented product launches are a real surprise these days but, writes Iain Robertson, in the wake of the Geneva Motor Show, Seat has revealed its hottest hot hatchback ever, for a strictly limited run intended for hardened enthusiasts. Revealed with minor confusion surrounding it and unable to reach any of the Seat UK PR team, I had to resort to a quick call to Barcelona for a qualified response. Seat announced recently that its Cupra badge was becoming a ‘brand in its own right’, not dissimilar to DS ‘parting’ from Citroen. It has also revealed an all-new, lower-profile Formentor model, which takes SUV to a more focused performance level. Therefore, introducing a new SEAT Leon carrying the Cupra badge and even the copper-coloured trim detailing proved almost too much for my feeble brain to handle. 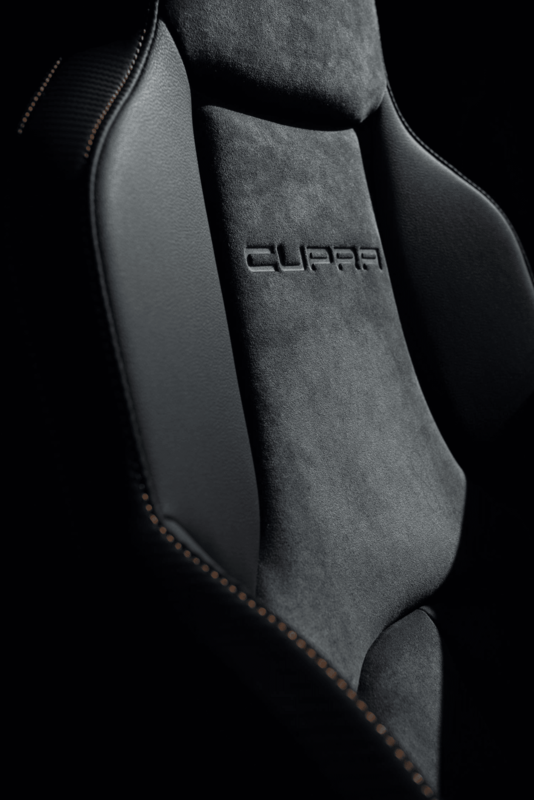 Is it a Seat, or is it a Cupra? To all intents and purposes, according to the powers-that-be on the Iberian peninsula, it is actually BOTH! To be fair, it has something to do with Leon being allied to the tuned-up Cupra badge for some time now. Either way, we are talking about headline-posting statistics here. The RenaultSport Megane has access to around 280bhp; the BMW M140i musters 340bhp; while the Honda Civic Type-R just cracks 320bhp. There is also a mess of VW Group models powered by the 306bhp 2.0TFSi engine, which forms the basis for the Leon Cupra R ST version tested here. It is a great engine, of that there is no doubt. However, Seat has slipped beneath the covers with German tuning firm, ABT, to create an even hotter version. Yet, only 150 of the hottest Leon Cupra R ST special editions will be available in the UK from 9th April, when the order book opens. The 2.0 TSI 297bhp model will have an on-the-road price of £37,975, which, put into perspective, is pricier than a Golf R. However, for a mere £500 more, customers can upgrade to 366bhp, with the addition of the aforementioned ABT tuning pack. Insurance ratings do not carry a premium and with zero impact on the homologated legal status of the car, it will reduce the 0-60mph acceleration figure to a supercar-taunting 4.2s (top speed limited to 155mph). It is blisteringly quick and makes its aforementioned competitors look more than a little pale by comparison! Possessing a high standard specification, which it ought to at the price, the R ST comes with quad exhausts, Brembo brakes, Alcantara-clad bucket seats, keyless entry/start and a panoramic sunroof. 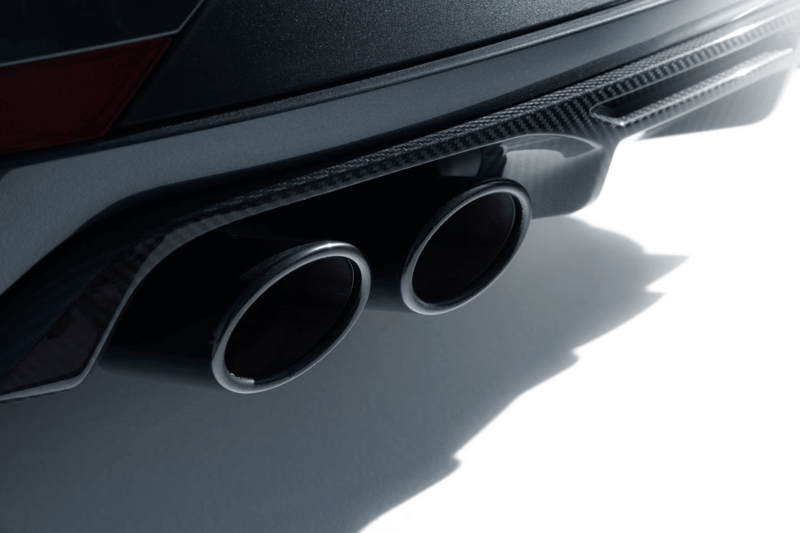 Copper-coloured metal accents, a la Cupra, and carbon fibre detailing add to the racy appeal of its exterior and upgraded versions will feature ABT detailing on the rear badge. The new model brings unique styling details, sophisticated stability and high-performance to the class, mixing its 4Drive system, with the hottest engine package in the category. In order to improve cornering speeds, new uprights have been added to both front and rear axles to provide two-degrees of stabilising negative camber. Traction and grip are at remarkably high levels and, while the ride quality verges on very firm, there are no issues with control, which is as taut as a sporting car needs to be, especially one with the R ST’s breadth of capabilities. Its steering is high-geared and surgically accurate, further emphasising the sporting pedigree that Seat needs to project. 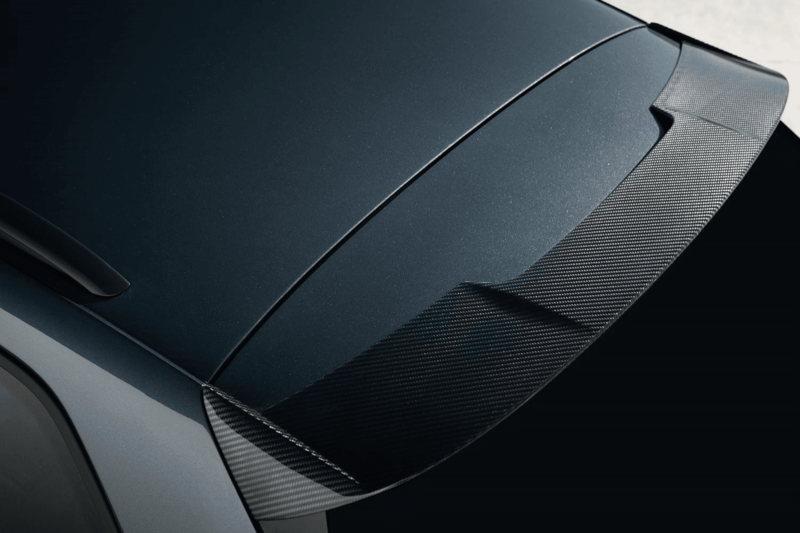 The Leon’s aesthetics have been enhanced with a front splitter, an extended rear spoiler, side skirts and the rear diffuser panel, all fabricated from carbon fibre, which does add substantially to the costs. In fact, to bring a Golf R up to Leon Cupra R ST specification would make it around £1,500 more expensive. 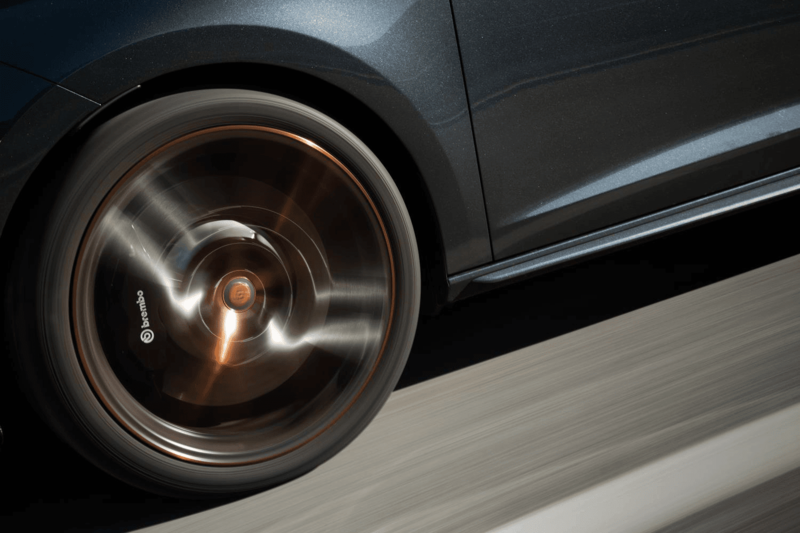 Copper-coloured logos and badges emphasise the Leon’s ‘sporting’ credentials, carried onto its exclusive 19.0-inch diameter alloy wheels that frame the front, black enamelled Brembo brake callipers. Illuminated aluminium sills welcome the driver and passenger to the cabin. The interior lining of the doors is finished in material that possesses a carbon appearance. The copper accents continue on the climate control vents, the centre console, on the steering wheel logo and on the stitching of the bucket seats and steering wheel, both of which are clad in tactile (and expensive) Alcantara. Both driver and front passenger are cocooned in deep bucket seats that provide maximum support on longer journeys, while holding-in the driver for those more enthusiastic handling moments. After depressing the starter button, the welcome splash screen shows a dedicated Cupra R ST display on the centre console’s 8.0-inch touch surface. Naturally, the rest of its functionality is stock VW parts-bin, with a pleasant scrolling menu and easy logic to its controls. The VW Group digital cockpit is included, which features the multi-configurable TV screen that can carry various sat-nav maps in conjunction with the main dials and provides copious information on-the-move. While the Leon Cupra R ST is designed as a high-performance vehicle, it also provides the necessary levels of comfort and convenience expected of a popular, if high-end, compact family car. Keyless entry and front and rear-view cameras are incorporated as standard. 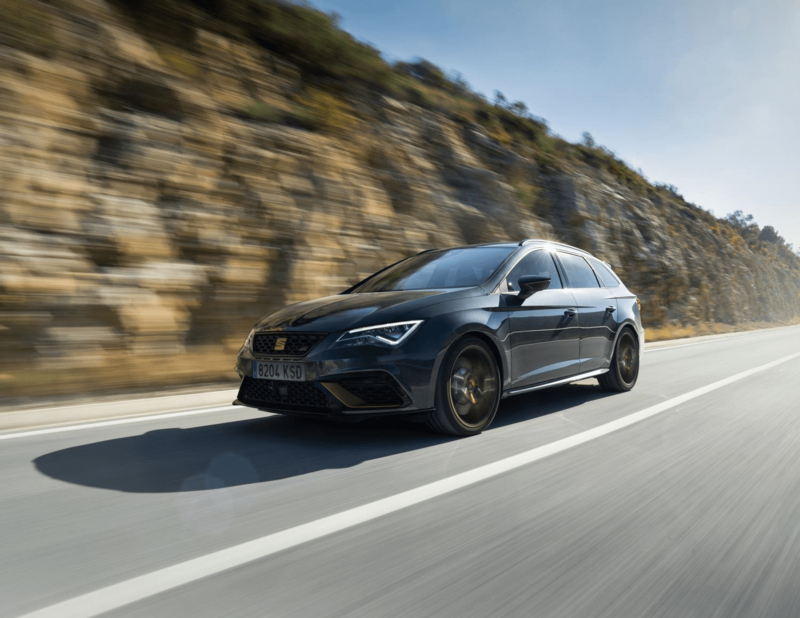 In terms of connectivity, the Leon Cupra R ST integrates the latest suite of software packaging, which means that drivers can link their mobile devices to the car, with associated app benefits and increased functionality. Naturally, driver and safety aids are up to the usual industry standards. What will make this Cupra-ised Leon sell strongly is its class-thrashing potency, especially with the ABT modification and the fact that it provides a lot of extra verve, with none of the associated on-costs. In fact, that is the bottom-line; the fastest Seat ever that provides headlining features and class-leading potential. Job done! Conclusion: If you really want the quickest hot-hatch on the block, then you have around 150 chances to obtain it. Once they are gone, unless Seat relents and imports a few more, you will have to resort to the chip tuning shops, which might not be the best idea. Personally, I think that it the Seat Leon Cupra R ST is really special indeed. « Welsh Witterings : Cornwall or the Caribbean ?